If your kitchen is in dire need of a refresh, the perfect place to start is with new cabinets that will instantly update your look. From seamless modern styles to surprising colors and finishes, the options are endless — so you're guaranteed to find a look that suits your unique personal aesthetic. Here are 11 styles that will spice up your kitchen and give it a much-needed facelift. Time to get cookin'! 1. Give textured cabinets a try. Add texture while still achieving a modern look with beadboard-style cabinets. 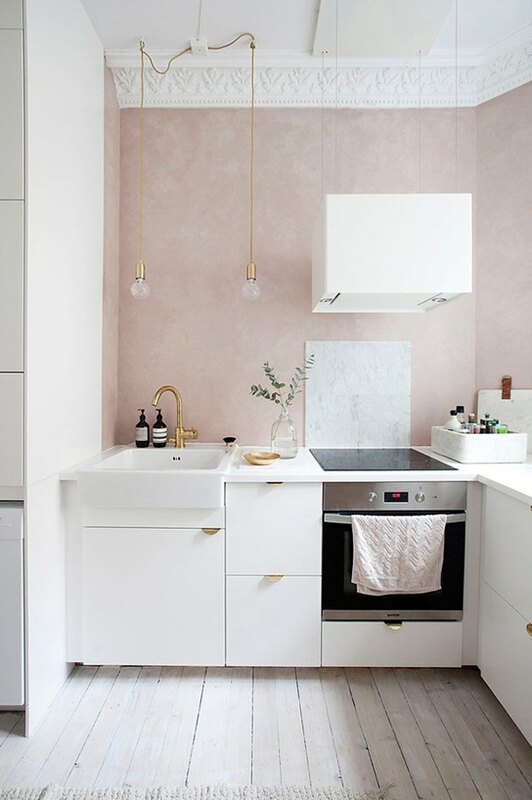 This design, available at Semi Handmade, is achieved by adhering textured cabinet covers and hardware to simple Ikea cabinets, making it an easy (and affordable) way to upgrade your kitchen's style. Who would've thought? 2. Don't be afraid to mix finishes. This layered, two-tone look from Canyon Creek will make your kitchen truly one-of-a-kind. You can mix-and-match whatever cabinet finishes you like to achieve your desired design. 3. Go seamless for a crisp, modern look. Keep your kitchen looking neat and tidy with the help of seamless cabinetry. 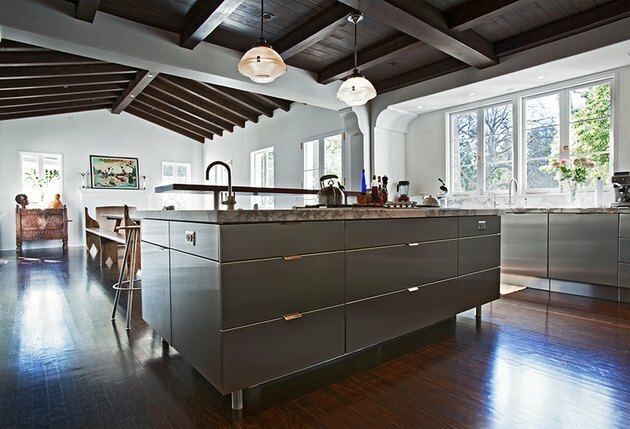 The smooth surface of this Oppein Home cabinetry adds a sleek touch to this otherwise simple kitchen. 4. Play with contrast for visual appeal. 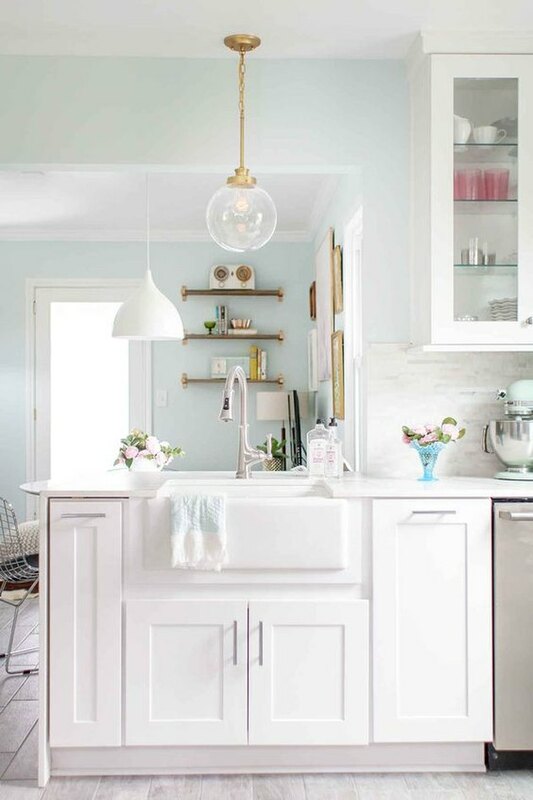 Add interest to your space by pairing simple cabinets with stand-out details, like this look from Naked Kitchens. 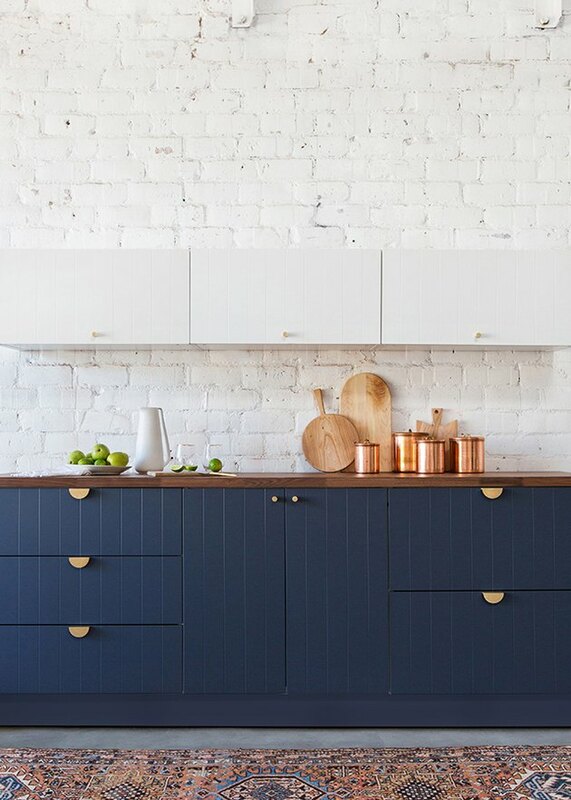 The contrast of the wood hardware with the bold blue cabinet finish make for an eye-catching statement that will take your kitchen to the next level. 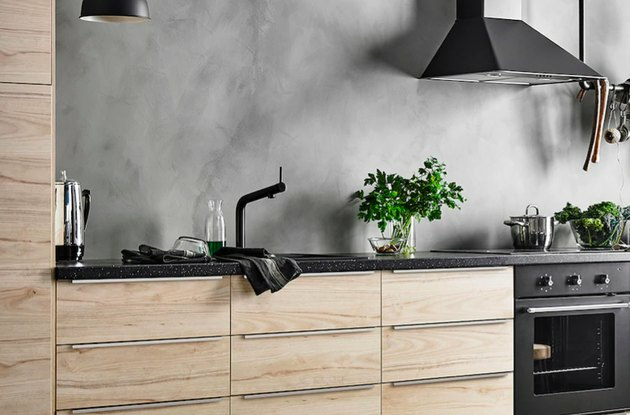 Rather than opting for traditional wood, which can get scratched or dented without proper care, these stainless steel cabinets from Maple Craft USA are ultra-durable and will last a lifetime — which is good news considering how taxing a kitchen remodel can be. 6. Go white and bright. Whether to show off your wedding china, fancy tea set, or your adorable ceramic mug collection, bright white kitchen cabinets with glass door inserts, like this affordable style from Thomasville, make the perfect backdrop. 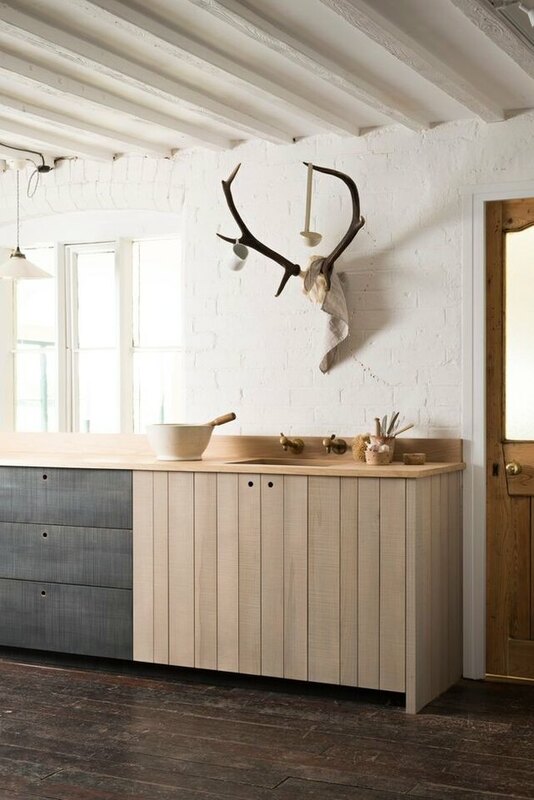 How striking are these rustic Sebastian Cox Kitchen by deVol cabinets? 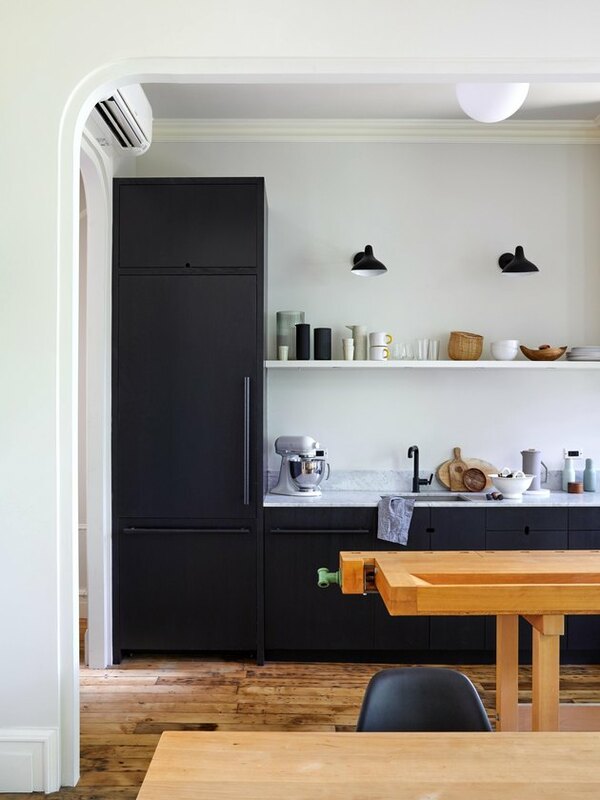 The contrast between the natural finish and inky blue-black finish of the sawn wood gives a simple yet modern edge to this farmhouse-style cookspace that really pops against a white brick wall. 8. Disguise appliances with cool cabinetry. 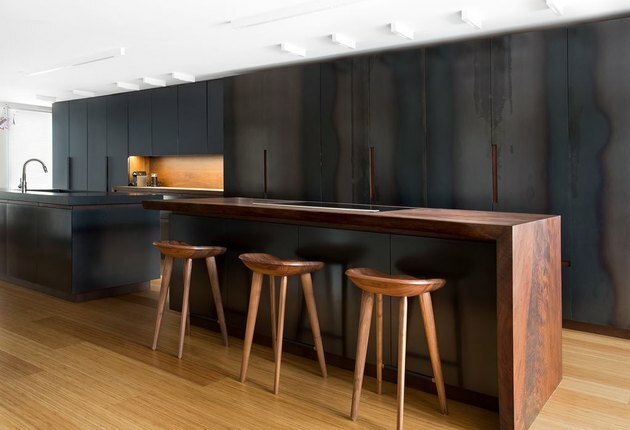 Further streamline your kitchen by seamlessly blending your refrigerator into your cabinetry. You can find an appliance that already comes with a cabinet cover, like this refrigerator from Bosch. Or, you can invest in integrated appliances from Sub-Zero that allow you to customize your refrigerator with panels and hardware to match the rest of your millwork, resulting in a sleek, uninterrupted look. 9. Don't be afraid to go bold. 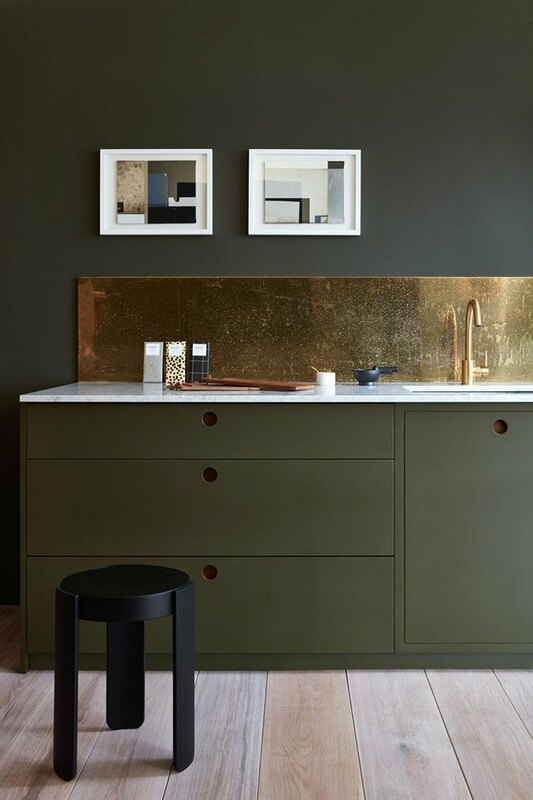 Pairing deep olive cabinets with a striking gold backsplash is a sure-fire way to make a statement. 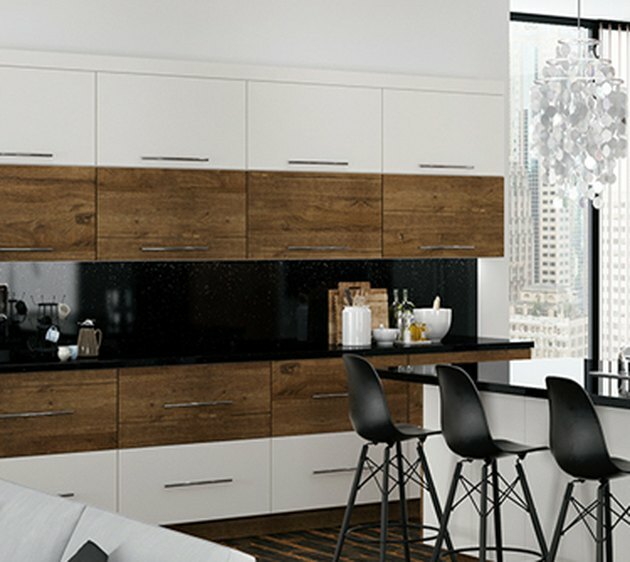 This sleek cabinet style from Naked Kitchens features cool cut-outs for drawer pulls, adding even more interest to the look. 10. Skip the top cabinets to streamline your style. After all, how much stuff do you really need? 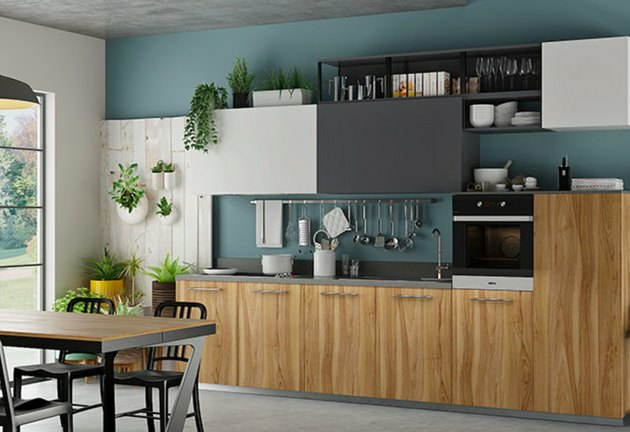 Keep your kitchen looking clean by doing away with the top row of cabinets entirely, and sticking with a simple style on the bottom, like these wood panel doors from Ikea. 11. Try an unexpected finish. Why choose ordinary cabinets, when you can try something extraordinary? 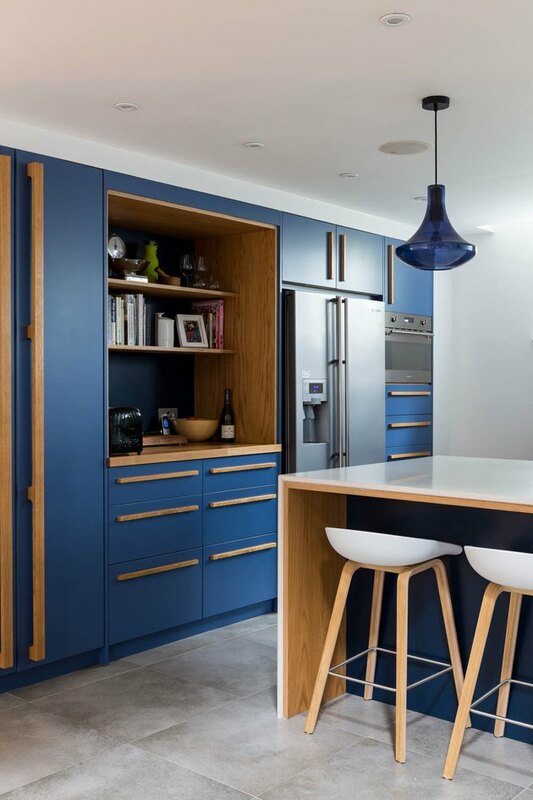 These unique, blue steel-finish cabinets by Sub-Zero and Wolf add just the right amount of drama to this otherwise minimalist kitchen.